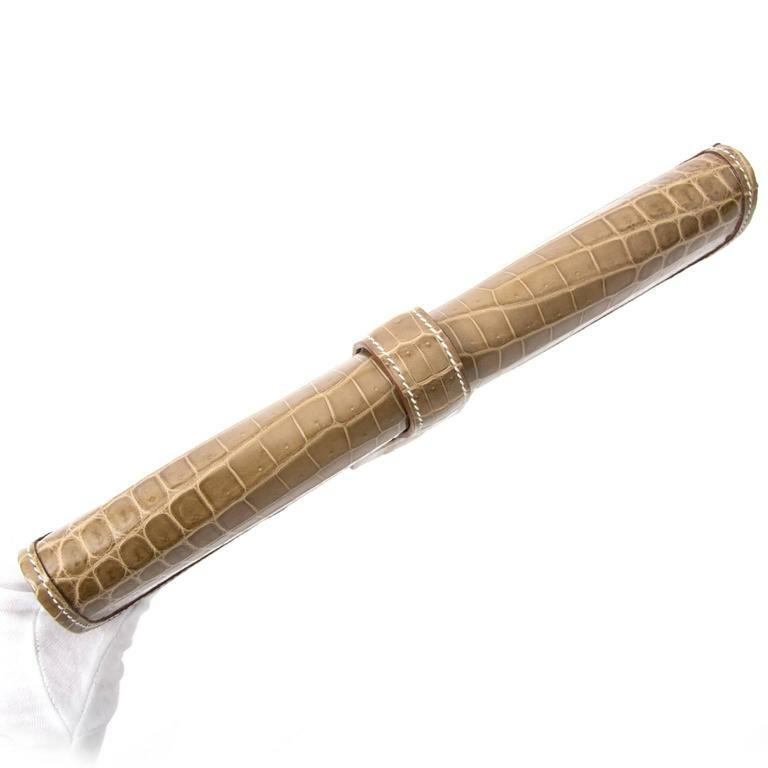 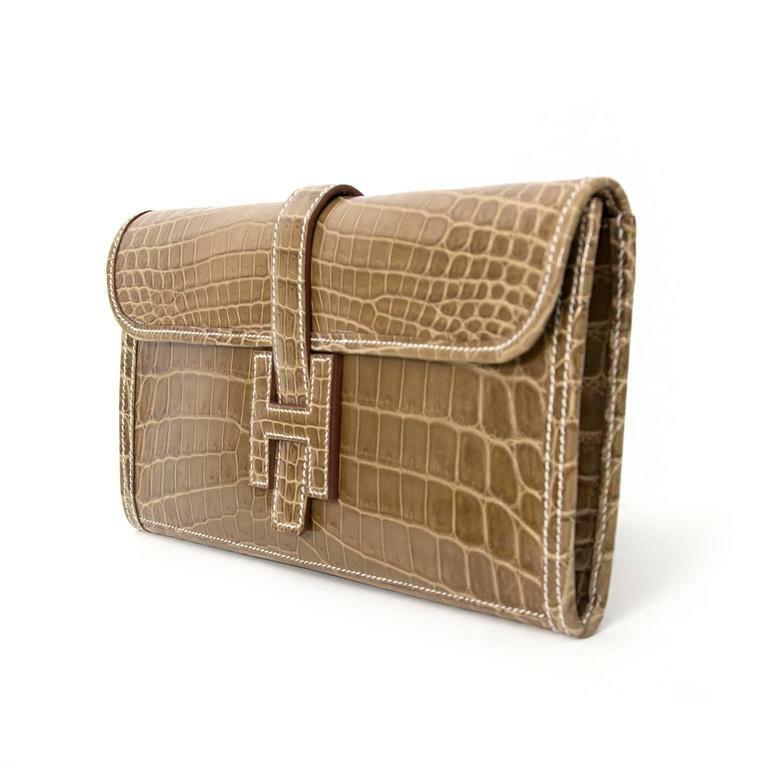 This Hermes Jigé Elan Clutch Bag comes in beautiful Ficelle Crocodile niloticus. 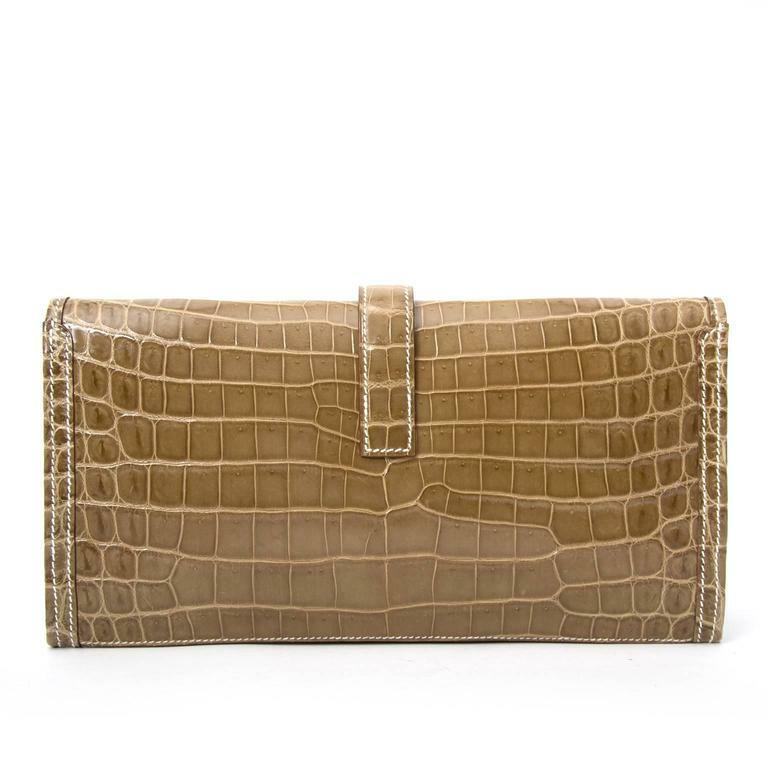 Shiny Niloticus Crocodile, has a somewhat larger scale pattern than Porosus croc. 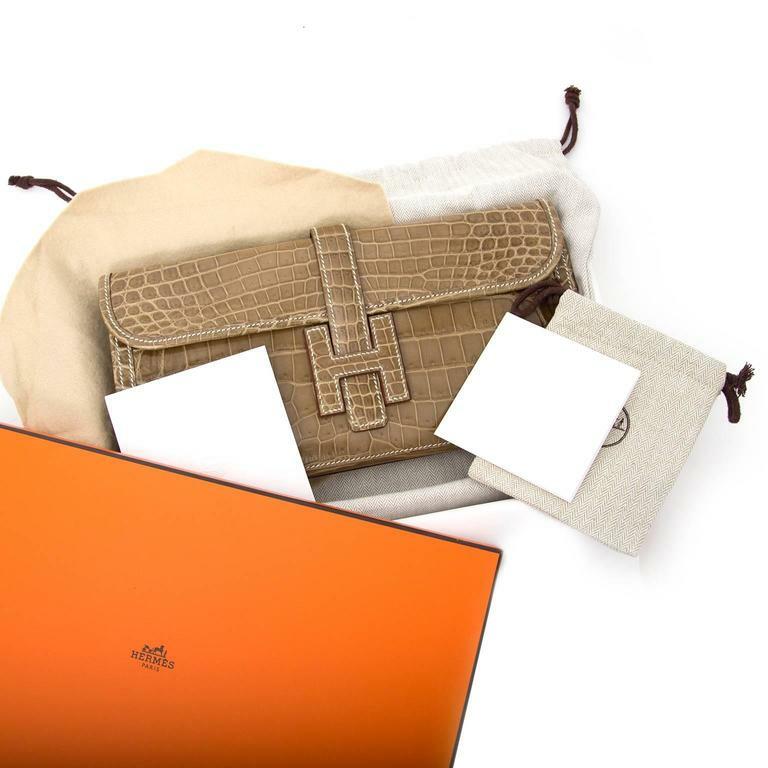 It is shiny and only the very finest skins are used; the "lisse" finish shows every detail beautifully. 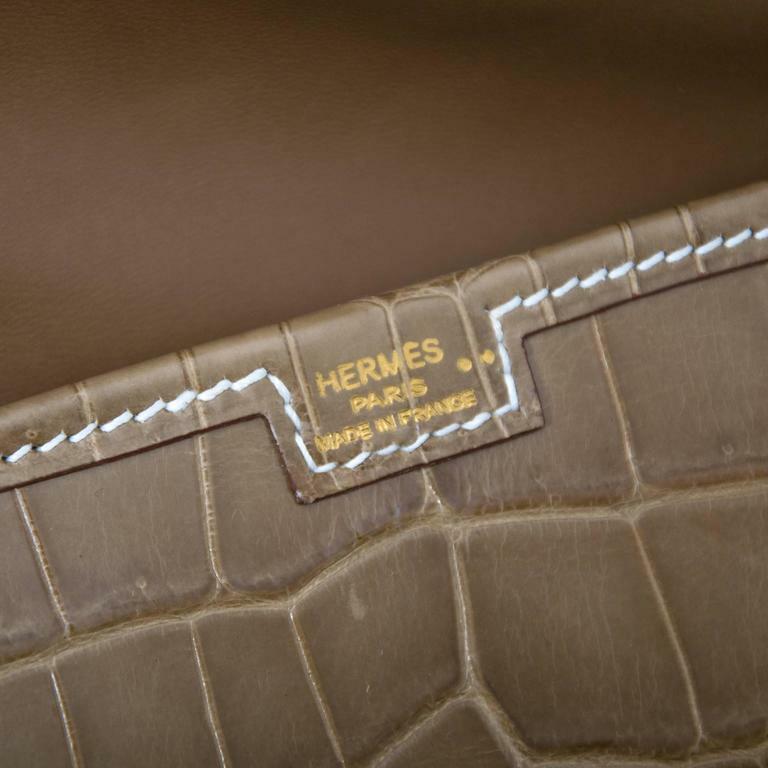 The clutch is easy to recognize with its Hermes H logo. 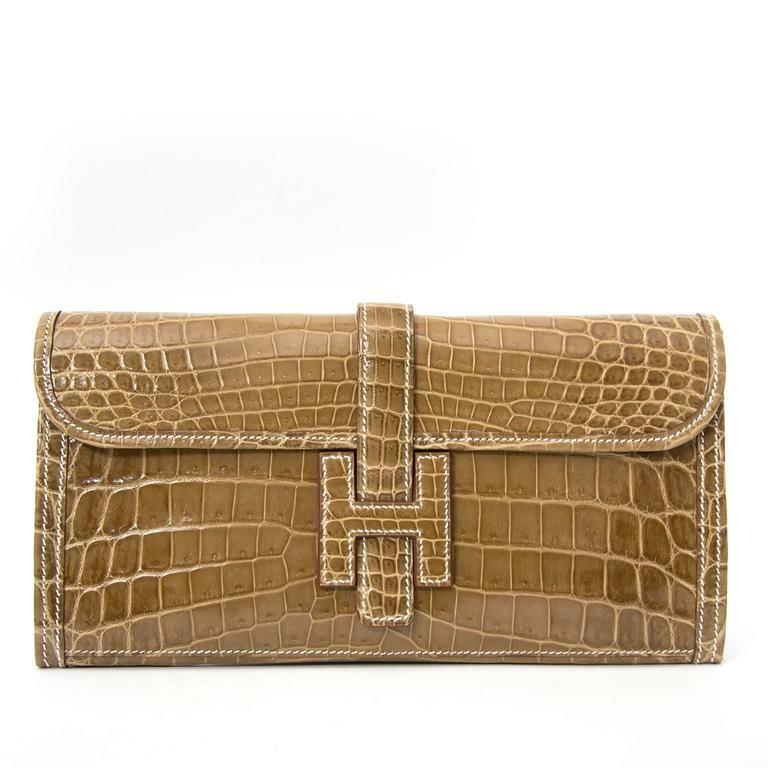 The Hermes Clutch is chique in the day and very elegant for an evening out. 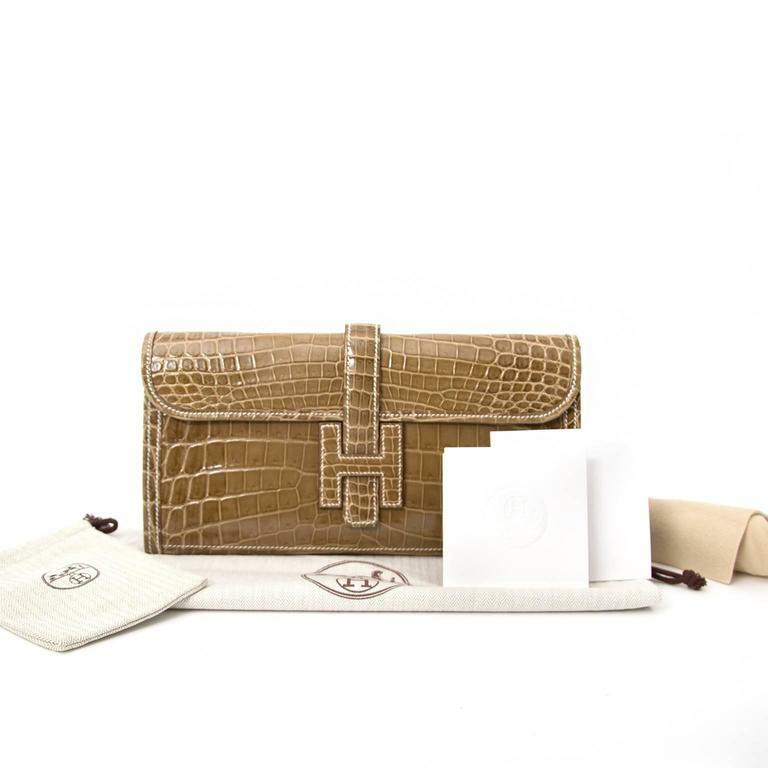 Comes with Box Invoice Dustbag Collection P in square This Clutch is brand new and never worn! 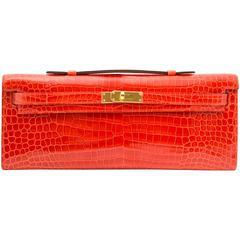 Hermes Bordeaux Jige Clutch Beautiful vintage Hermès bordeaux jige clutch. 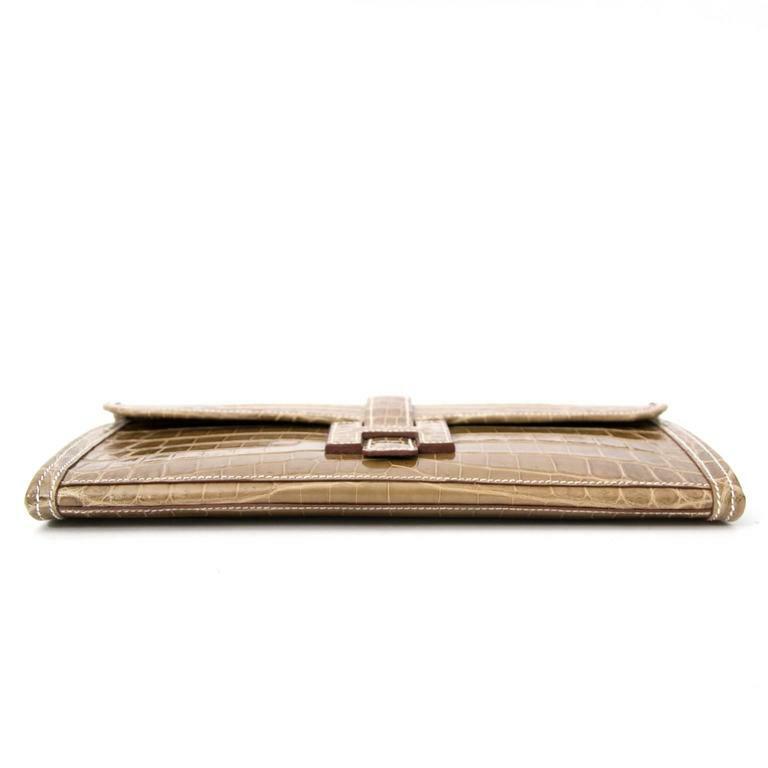 Fully lined in toile. 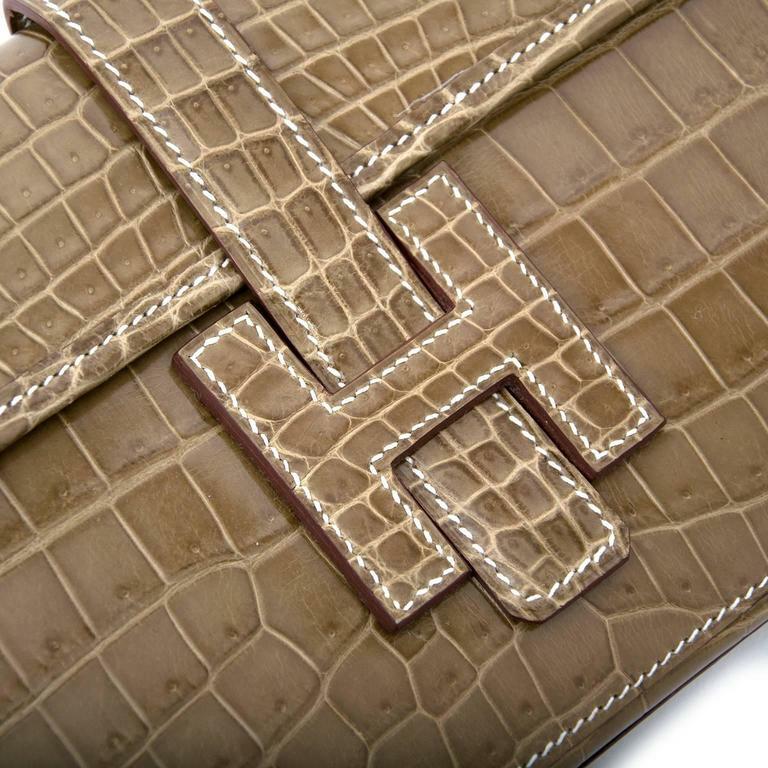 Stamp H in a circle, year 1978. 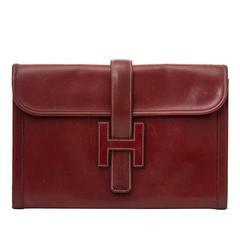 Vintage Hermes Jige GM Clutch in Burgundy box Leather.